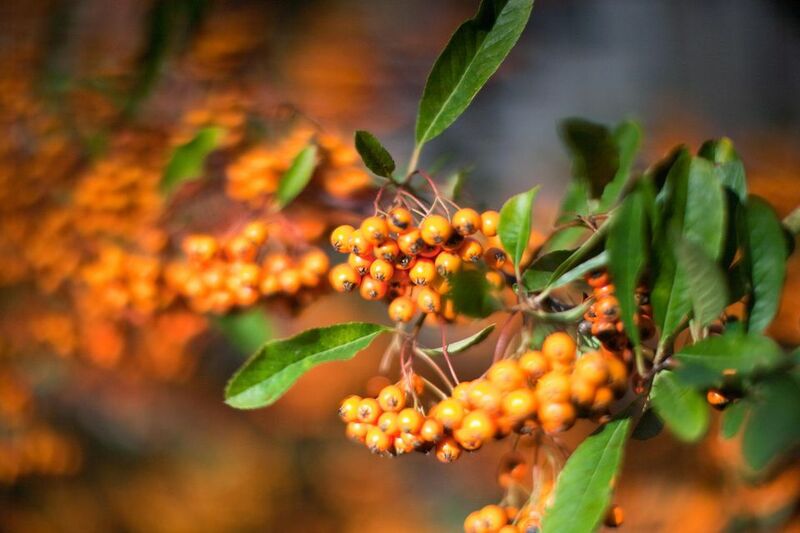 The firethorn (Pyracantha coccinea) is an evergreen (or semi-evergreen) shrub that features fierce thorns. This trait makes it very suitable for use as a privacy barrier in your garden. It also features reddish-orange fruits that can add color for the fall and part of winter. The name pyracantha is used by all of the species in the genus of that name. The one that is most commonly cultivated in gardens is Pyracantha coccinea. It is categorized as part of the Rosaceae family. This is called either firethorn, scarlet firethorn or pyracantha. The best zones for this species are 6-9. There are varieties available that will grow in Zone 5. Over time your firethorn will form into a shrub that is 6-18' tall and wide. The general shape is rounded or oval but it can become spreading and untidy. Pyracantha coccinea can be placed in a site that provides full sun to partial shade. You will have more flowers and fruit in sunny locations. The foliage is evergreen, with a lanceolate, oblong or elliptical shape. The margins feature a small degree of serration. They are dark green and up to 2.5" long. Some of the leaves can be semi-evergreen and will turn bronze and fall off as the weather cools. The small white flowers are formed in clusters called corymbs and have an unpleasant fragrance. Once the flowers have finished, abundant clusters of orange-red pome fruit form. They will last through fall and winter if birds do not eat them all first. These pomes are edible if cooked. This is an excellent choice for a privacy barrier as the thorns are sure to ward off visitors. By that same token, you may want to choose another plant if there are children or pets living in your household. The spines are hidden among the leaves and they may become injured easily. The scarlet firethorn can be included as part of a drought tolerant landscape. You can propagate this shrub through seed germination or cuttings. Pruning your firethorn can be a bit tricky due to the profusion of thorns present. You can prune this into a hedge or create an espalier. Use a long-handled pruner so you can trim away without having to actually get too close. Do your pruning right after the flowers have finished blooming since the following year's buds will start forming later in the year. If you prune too late, you will have fewer flowers in the next season. You can prune this at other times (fall or spring) if you are willing to forego next year's blossoms. This can be necessary if the shrub has become unruly or infected with scab. This shrub is able to tolerate heavy pruning and will bounce back quickly.